10 Things You May Not Know About STAR WARS: Episode III - Revenge Of The Sith | Warped Factor - Words in the Key of Geek. Geek Dave was to bring balance to the force, not leave it in darkness. 1. George Lucas wasn't just behind the camera for Revenge Of The Sith, you could also hear him throughout the movie. Whilst involved in the post production he developed a nasty cough, this was recorded, filtered, mixed and used as General Grievous' hacking bark. 2. Lucas originally wanted to include Grand Moff Tarkin in Revenge Of The Sith. He didn't plan on recasting, but utilising stock footage and CGI to 'resurrect' Peter Cushing. It was only when the stock footage wasn't deemed to be of sufficient quality that this idea was abandoned. 3. In the original draft of the movie the plan was to include a young Han Solo living with the Wookies on Kashyyyk. 4. 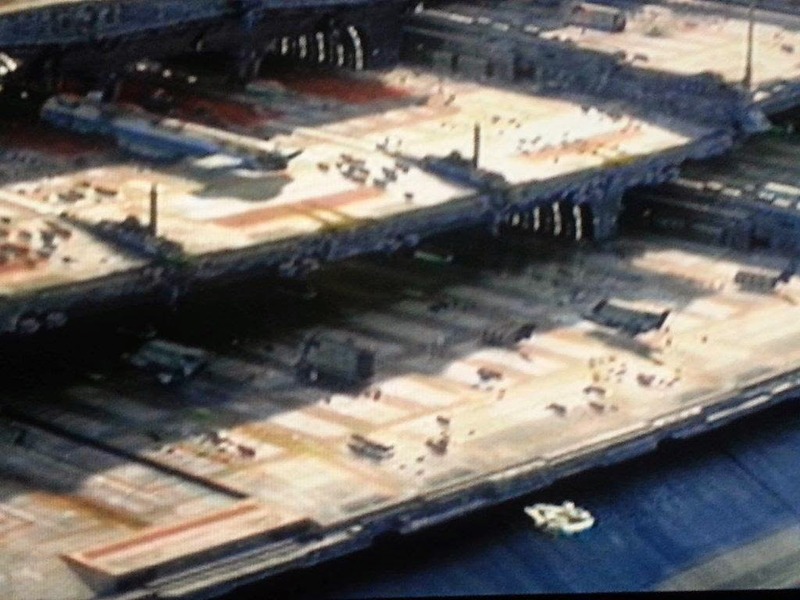 Whilst we're on the subject of Han, he may have not turned up in Revenge Of The Sith but his ship, the Millennium Falcon, does. It makes a brief appearance at the Senate Docking Bay. 5. Second Unit Director's are often utilised in movies of this scale, providing the less important pick-up shots and inserts for the main director. Usually this position is taken by those aspiring to sit in the director’s chair, not a multiple Oscar winning one! But Lucas's old friend Steven Spielberg helped him out on Revenge Of The Sith by directing the epic lightsaber duel between Anakin and Obi-Wan, amongst other scenes. 6. Somewhere in all six movies (and I wouldn't bet against it appearing in the new trilogy) a character says the line "I have a bad feeling about this", or "I have a very bad feeling about this". Previously it had always been said by a different character every movie (Luke in IV, Leia in V, C-3P0 in VI, Obi-Wan in I and Anakin in II), but in Revenge Of The Sith Obi-Wan became the first character to speak the line twice. 7. Revenge of the Sith contains the highest body count of any of the Star Wars films, with a total 115 deaths appearing on screen. 8. You know all those clones in Revenge Of The Sith? Not a single one of them is real! No helmet, armour or costume was ever made for the movie, because every single clone was created entirely using CGI. 9. Lucas' original cut of the completed movie ran to over four hours! The opening scene featuring Palpatine's rescue was over an hour long itself. 10. Revenge Of The Sith contains over 2,200 digital effects, which is more than the combined total for Episodes I and II. Yet Episode III is the only Star Wars movie to not receive an Oscar nomination in the Best Visual Effects category.